Supreme serenity still remains the Ideal of great Art. The shapes and transitory forms of life are but stages toward this Ideal, which Christ’s religion illuminates with His divine light. 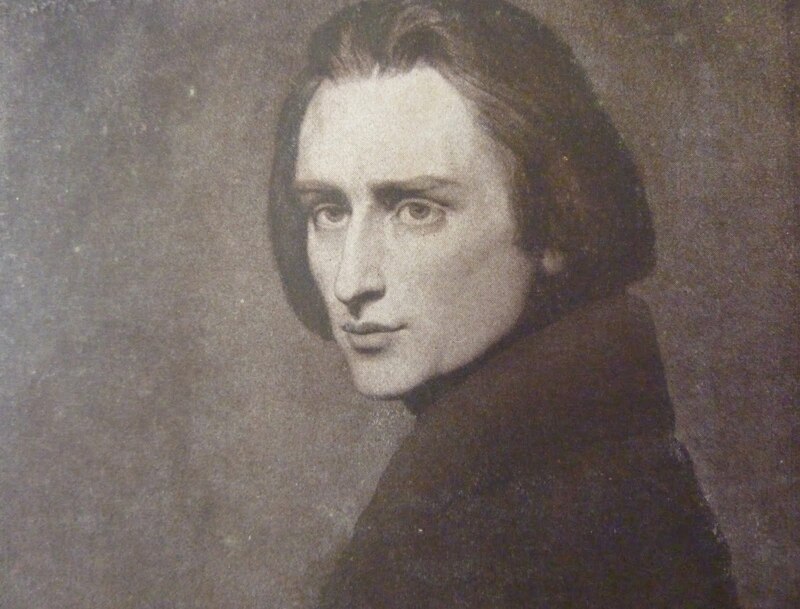 We often think of Franz Liszt (1811-1886) as a kind of nineteenth century rock star whose piano music is filled with dazzling displays of bravado and virtuosity. But there’s another more contemplative side of Liszt which seems to transport us into a solitary dreamworld. Nowhere is this more apparent than in the 1845 solo piano work, Bénédiction de Dieu dans la solitude (“The Blessing of God in Solitude”), part of a larger ten-movement cycle called Harmonies poétiques et religieuses (“Poetic and Religious Harmonies”). The title refers to a collection of poems by Alphonse de Lamartine (1790-1869). This piece is set in what pianist Philip Thomson calls “the luscious key of F-sharp major”- a key which feels strangely remote with its abundance of sharps. Within the frame of F-sharp, a fascinating harmonic scheme takes shape. Each new episode falls a third (F-sharp, D, B-flat) until we return home to F-sharp in a moment of glistening ecstasy. You can hear seeds of Wagner (the falling seventh at 2:08), Mahler, (there are echoes of the rising line of the Fifth Symphony’s Adagietto), and even Debussy (listen to these parallel chords). Written in 1872, Liszt’s Impromptu “Nocturne”, S. 191 delivers more F-sharp major solitude. What I find particularly interesting about this piece is its harmonic ambiguity. Listen to the way the strange chromatic progression in the opening defies all of our expectations. Each chord carries a universe of emotional meaning. Throughout this short, improvisational piece, you’ll hear this opening motive transform, at one moment surging ever higher in a tumultuous frenzy before finding ultimate serenity in the final bars. This performance is part of Shai Wosner’s Impromptu album, featured in this July Listeners’ Club post.